We are a family run company based in Standerwick (Frome) with a hard earned, first class reputation. We are a professional and highly experienced team, placing our customers at the centre of everything we do. With every project we take on, our promise is to give our customers 100% customer satisfaction and an extremely high quality of workmanship. Complete Construction will guarantee to transform your tired looking property to its full potential. 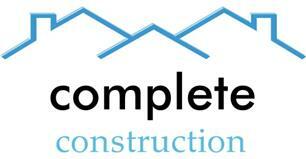 You can be assured that complete construction is a reputable and trustworthy company – our work is fully guaranteed for a decade, and we are vetted and monitored by Checkatrade.